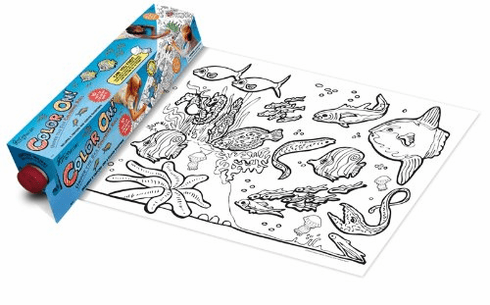 This unique coloring experience keeps kids occupied for hours of creative and interactive fun. Roll out the paper and create a 10-foot long mural, or tear off smaller works of art to show off. Easy to roll up and take anywhere. "Can You Find?" activity and large format makes play more interactive. Contents include 5 crayons and crayon sharpener inside the handles.